From Saturday, October 4 to Sunday, October 12, Howie and Bev Shute will be on district. 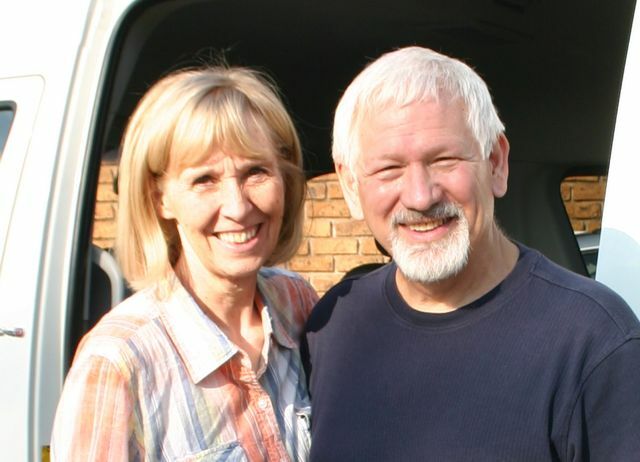 Howie and Beverly served as Global Missionaries in the Church of the Nazarene for fifteen years. Howie served as Field Director and Field Strategy Coordinator for the Horn of Africa (HOA) for eleven years and as Assistant to the Regional Director, responsible for church multiplication and development throughout the African continent for four years. Beverly gave leadership in field finance, regional personnel, and teaching. During the Shute's time in Africa, Howie opened the work for the Church of the Nazarene in the Sudan and in two creative access countries. He also led in pioneering the work in several other gospel-resistant countries. Howie and Beverly are currently involved in mission throughout the USA. Howie serves with Holiness Legacy, promoting holiness summits across the USA and Canada. It is the Shute's vision and passion to see a movement of God spread throughout America. Saturday, October 4th - 10:00 a.m.
Saturday October 4th - 6:30 p.m.
Sunday, October 5th - 9:00 a.m.
Sunday, October 5th - 11:00 a.m.
Thursday, October 9th - 10:30 a.m.